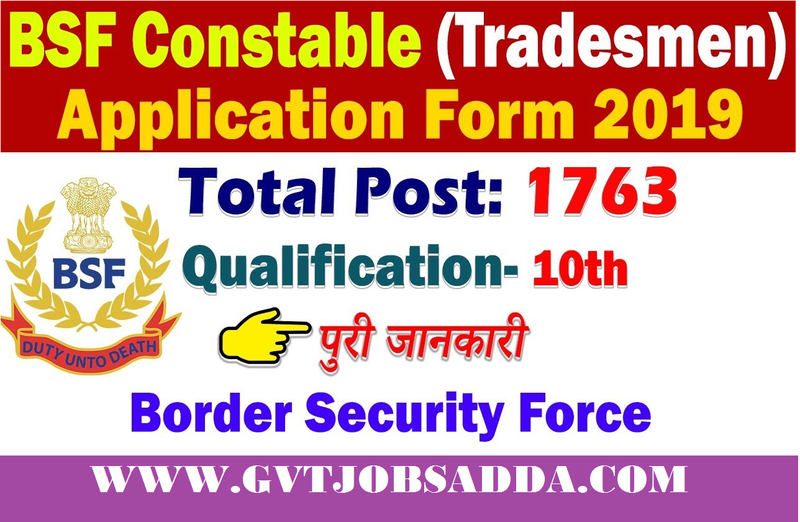 Border Security Force (BSF) Has Recently Resealed BSF Recruitment For Indian Male Female Constable 1763 Posts. 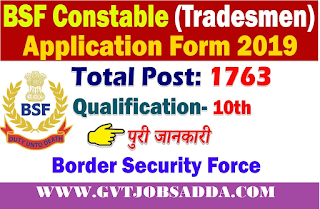 Those Candidates Who Are Interested &Eligible For BSF Constable Recruitment 2019 Candidates Should Download Official Notification Advertisement And Read Carefully And Apply Before Of Last Date. Brief Information About BSF Vacancy Given Below. Last Date Of Submission Application From : 30 Days From The Date Of Publishing Advertisement. Last Date Of Receipt Application From Of Flung Areas : 45 Days From The Date Of Publishing Advertisement. Two Years Diploma From Industrial Training Institute In Trade Or Similar Trade. I AM 12TH PASS CAN I APPLY FOR THIS POST ?